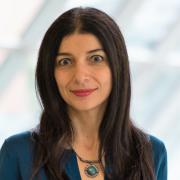 Berrin Erdogan (PhD, University of Illinois, Chicago) joined Portland State University in 2002. She teaches courses on human resources management, performance management, global human resources management, and organizational behavior at undergraduate and graduate levels. Prior to academia, she worked as a corporate trainer at a large bank in Istanbul, Turkey. Berrin’s research focuses on two themes. First, she examines how leaders lead through the relationships they build with their employees and the implications of manager–employee relationships for employee effectiveness, retention, and well-being. Second, she is interested in understanding person–job fit and misfit, with a focus on why and how employees find themselves overqualified for their jobs and the consequences of being overqualified. She conducted studies and shared results with organizations in manufacturing, retail, health care, education, information technology, construction, and banking, among others, in the U.S., UK, China, Turkey, Vietnam, France, and India. To date, she has published over 60 journal articles and book chapters, coauthored the textbooks Organizational Behavior and Principles of Management, Psychology and Work, and coedited the Oxford Handbook of Leader–Member Exchange, published by Oxford University Press. In 2013, she was elected a SIOP fellow for unique and unusual contributions to the field of industrial-organizational psychology. She served as an associate editor for the European Journal of Work and Organizational Psychology and Personnel Psychology. Berrin is a frequent speaker at national and international conferences and served as a visiting scholar and gave invited talks in Australia, Canada, Greece, Singapore, Spain, Turkey, the UK, and the U.S.